All her life Angelique has loved and owned pups. Taking into consideration everything she wanted for her own dogs, she made the move and opened ULD in 2010. Angelique and her staff want what is best for all dogs, and their owners. Their goal is to make each and every one of their clients feel like they are a part of their family. Abi has been working at U Lucky Dog since we opened in 2010. She started as a daycare attendant and has worked her way up to being General Manager. She also became a Partner in the business in 2016. She runs day to day operations and manages upwards of 40 employees. She has a true passion for animals and especially loves Bulldogs. Brooke has been working at U Lucky Dog since July of 2012. She started as a daycare attendant and quickly showed Abi and Angelique she was ready for more. She has been Assistant General Manager for the past few years and can manage the front desk like a pro, checking dogs in/out, answering the phone, conducting tours, helping Abi manage the other employees and so much more. Jenn has been working at U Lucky Dog since January of 2012. She started as an overnight attendant. She focuses mainly on boarding dogs, and also helps Abi organize the playgroups daily. She is truly the mama of the boarding dogs and often comes in early and stays late just to lend a hand. 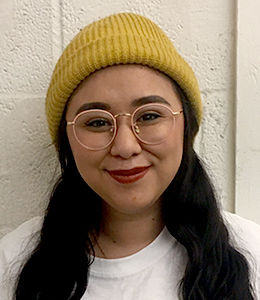 Pearl has been working at ULD since July of 2017. Chances are if you've called ULD it's Pearl who's been on the other end of the line helping with all your questions, booking requests and details. She's in charge of making sure that client needs are attended to daily, and that everything we need to know for your pup's stay is in order! During her breaks however you can probably catch playing with all our lucky dogs in group. Leonard, often referred to as Nino, has been working at U Lucky Dog since December of 2011. He is Angelique's Godfather which translates to Nino in Spanish. He is in essence everyone's Nino at U Lucky Dog. He is the man who keeps ULD looking and smelling the way it does! He is in charge of all maintenance including general repairs but also major renovations. He helped transform the Littles Doghouse from a Bar into what it is today. He also helped construct the swimming pool and is always ready for the next project.